Dr. Alison Matthews-David was trained at Stanford University and investigates the history of textiles and dress. She is an associate professor at Ryerson University in Toronto, Ontario. This book is based on the research for her adult book Fashion Victims (Bloomsbury, 2015) and its related co-curated exhibition at the Bata Shoe Museum in Toronto. Her next project sleuths out the links between clothing and crime. Serah-Marie McMahon founded WORN Fashion Journal and edited The WORN Archive, published by Drawn & Quarterly. She sells and writes about children’s books in Toronto, Ontario. Gillian Wilson is a Canadian illustrator and printmaker with an affinity for cats and scary feelings. Her work has been featured in Frankie magazine and some of her clients include Today's Parent, Palm Bay Spritz, and Hamilton-based Grain + Grit Brewery. The clothes we wear every day keep us comfortable, protect us from the elements, and express our unique style—but could fashion also be fatal? As it turns out, history is full of fashions that have harmed or even killed people. From silhouette-cinching corsets and combustible combs to lethal hair dyes and flammable flannel, this nonfiction book looks back at the times people have suffered pain, injury, and worse, all in the name of style. 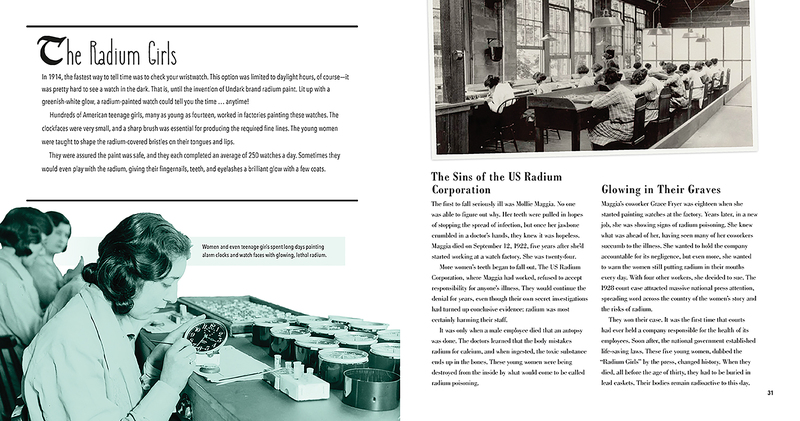 Historical examples like the tragic “Radium Girl” watchmakers and mercury-poisoned “Mad Hatters,” along with more recent factory accidents, raise discussion of unsafe workplaces—where those who make the clothes are often fashion’s first victims. 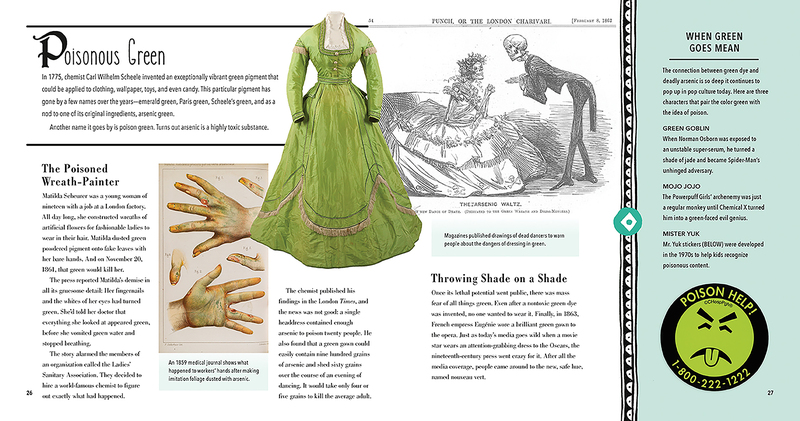 Co-authored by a scholar in the history of textiles and dress with the founder of WORN Fashion Journal, this book is equal parts fab and frightening: a stylishly illustrated mash-up of STEAM content, historical anecdotes, and chilling stories. 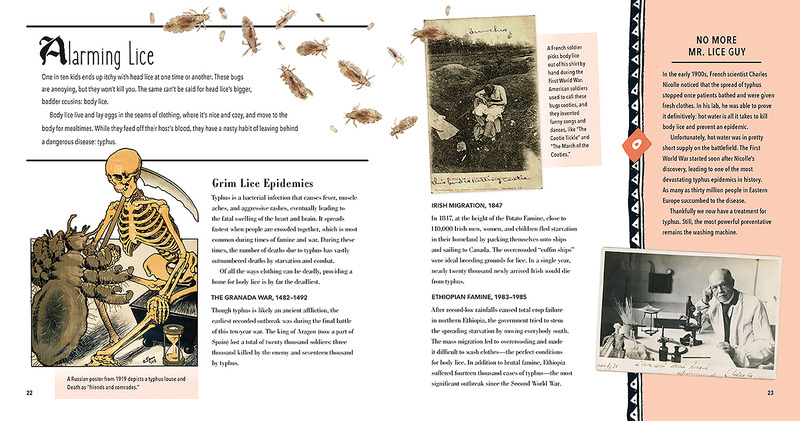 Nonfiction features including sidebars, sources, an index, and a list of further reading will support critical literacy skills and digging deeper with research on this topic.